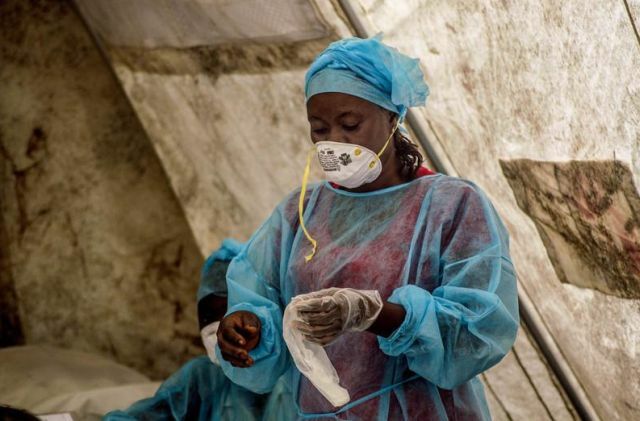 CAMBRIDGE, Massachussetts, Oct 27 (IPS) - The catastrophic Ebola crisis unfolding in West Africa offers many lessons, not least for global anti-poverty efforts. These will culminate in a set of targets, to be agreed by the United Nations in 2015, known as the Sustainable Development Goals (SDGs). Nor would "pay for performance", whereby health workers are supposedly incentivised to be more productive by having compensation linked to quotas and outcomes. All of which brings us to a third lesson from the crisis: silver-bullet solutions that focus on short-term outcomes, and often produce so-called ‘vertical' interventions (that is, those de-linked from the broader context), actually do not work in the long term, or in the face of crises. In the three most affected countries in West Africa, the health systems were all dysfunctional before Ebola hit, and were often a place where people - especially women and children - experienced their poverty and marginalisation. The inadequate, and now decimated, health systems, and the rippling effects of the crisis on education, housing, and food, all raise issues of access to - and the enjoyment of - fundamental economic and social rights. These are just as important as the violations of civil rights, including unwarranted restrictions on movement, which might stem from the Ebola epidemic. But it is equally important to realise how massive violations of human rights - civil and political, as well as economic and social - drive epidemics such as Ebola. The unimaginable suffering we are witnessing is in no way simply an inevitable result of the "natural" pathophysiology or epidemiology of the disease. This time, let's make sure we do not accept the status quo ante as ‘normal', and instead make long-term commitments to strengthening health systems, including public health measures. These will create not just more productivity and healthy years of life expectancy, but also promote people's own voice and agency and the possibility of living lives in dignity. And let's take the time in finalising the SDGs to consider how best to tackle the rules of the global economic order, including the unfair terms for global trade, that drive the structural inequalities between countries. These limit the possibility of people enjoying their human rights even in the best of times, and can help set the stage for these horrific social calamities. Ebola has shown vividly that we live in an invariably globalised world. We owe it to those with whom we share this planet, and to future generations, to establish a Sustainable Development Agenda that, as the Universal Declaration of Human Rights says, promotes a "social and international order in which the rights and freedoms set forth can be fully realized" by everyone.